Although Spring is my favourite season for the warming weather, new blooms and beautiful aromas, Summer is definitely my favourite time of year. Christmas can be stressful, the pressure to purchase the right gifts, entertain and keep up the Santa gig. But Christmas means something different for every family and for us, as a non-religious gang it means spending time with people we love. It also invite the celebration of Summer! I have to say I find the images of a white Christmas in Australia a little confusing. We don't have snow men, scarves or snow flakes, not even Woolly jumpers with snow flakes unless it's a really cold day, but even then, real snow is a long shot during an Australian Christmas. But Santa on the beach wearing wrap around Sunnies and Speedos drinking a Tinny probably doesn't do our culture justice either, even though these are iconic images of the Aussie Summer. For me the season of Summer means pool parties and ice-cream cakes as a kid growing up with a warm-weather birthday. It means lying in the sun on hot grass, Daisy chains & the pungent aroma of tomato plants in the veggie garden. 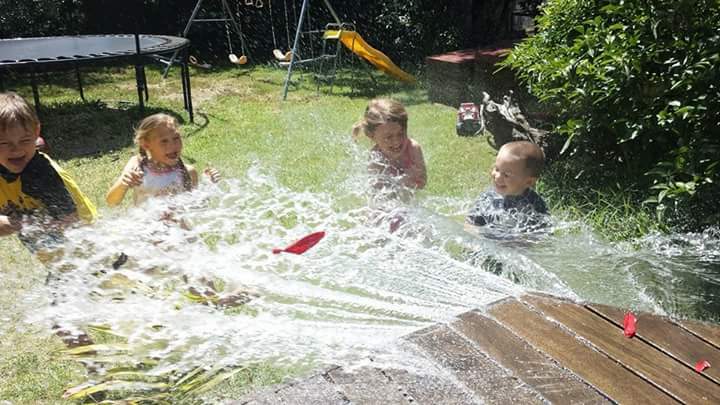 Summer means going to the beach and coming home hot & bothered feeling like you need another swim, so out come the icy-poles and sprinkler to cool off again. Oh & 'hat hair', bather marks and the greasy feeling & distinctive smell of zinc-based sunscreen! The juice of ripe stone fruit and over-consumption of delicious bright coloured berries. Longer hours of daylight and eating dinner outside on the deck. Camping, how can I forget sitting around the campsite on a Banana lounge, reading an inspiring book or Peppermint Magazine with the sound of the kids running around with their friends, only to return for food and water or flop down for a rest! How blessed we are to live in such a wonderful place on earth, Australia! So when we are surrounded by conflicting messages of the "traditional" Christmas that is so far from our culture, do we just go with the flow and absorb the external pressures? I prefer to find a way to make this (and other celebrations) a more meaningful occasion, which means teaching my family about the celebration of the seasons & creating a Summer Solstice ritual of being mindful, grateful, setting intentions and letting go. 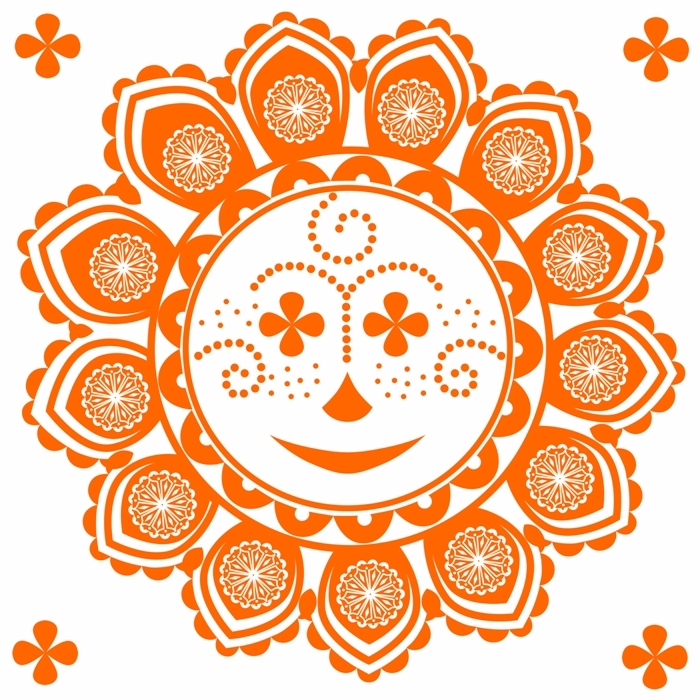 Every year December 20th to 23rd marks the time of the Summer Solstice, also known as 'The Festival of Achievement' which is celebrated widely around the world. This year Summer Solstice falls on Dec 22nd at 3:48pm AEDT and this is the time when the Sun is directly over the Tropic of Capricorn and the North Pole is tilted furthest away from the Sun. What does this mean? 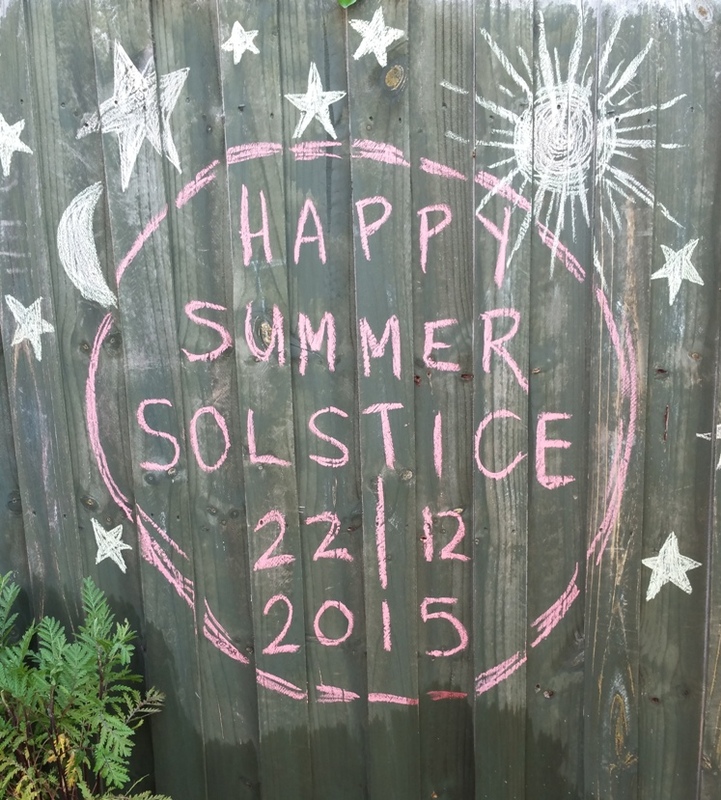 It's Midsummer for us in the Southern Hemisphere, the longest day and shortest night of the Earth's solar year. 'Solstice' means 'Standing of the Sun' and it's a perfect time for us to stand still, acknowledge and celebrate how far we've come. It's also a time to reflect and nurture what we would like to create in the coming months until the Winter Solstice arrives. What do we need to do, who do we need to be and what do we need to let go of? 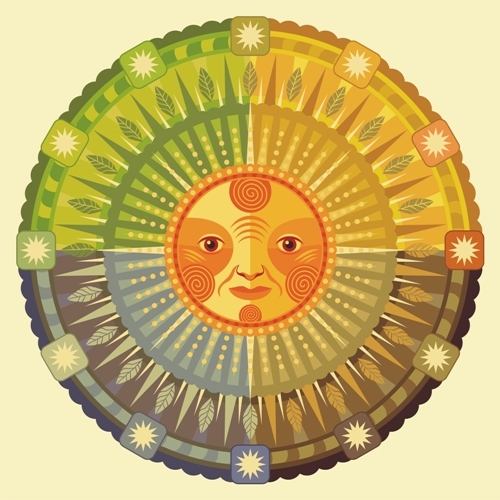 Most of us are aware that the Summer & Winter Solstice and Autumn & Spring Equinox exist, but our culture (in general) has lost the knowledge of the Earth's cycles and we certainly don't seem to make it a tradition to celebrate the wonderful abundance that Mother Earth provides. I mean, when was the last time you saw a mainstream retailer having a 'full moon sale'? Yet this is something that everyone in the world experiences & perhaps I'm being cynical when I say, we only seem to hear about the Moon when it's being blamed for all the crazy things people do. But at this point I would like to acknowledge and thank the beautiful intuitive people who are living in a different level of consciousness, they have another level of awareness of the seasons & cycles. These are the people who I love to learn from. So because, as I mentioned before, we are not a religious family, but we are surrounded by celebrations of religious occasions throughout the year. Rather than ignore them or celebrate something we don't believe in I prefer to find our own family meaning to the festivities. My husband and I explain the origins of Halloween or "All Hallows Eve" or find out where Easter began, sharing this knowledge with our kids. I loved exploring the significance of being born on the most romantic day of the year, Valentines Day on my 37th Birthday (in 2014). What I love most is showing our children where their life force comes from, teaching them how their food and water are all provided by the elements & if these are not healthy, neither are we. To show them the beauty of the seasons and that respect & gratitude are the best attitudes to adopt when it comes to our home. To help them understand the regenerative and healing powers of nature. How being connected & grounded will help them throughout their time on earth. that the earth is our mother"
The above is an excerpt from a speech apparently (& I'd like to believe) written by Chief Seattle in 1854 as his response to the Governor of Washington who proposed to purchase the land of the Suquamish Indians, leaving a 'Reservation' for the Indian people. The larger portion of land is now known as the city of Seattle. Published as "This Previous Earth" by Axiom Publishing, 2002, it's still one of my favourite books. I also want our children to understand that it's OK to search for things that give your life greater meaning, to find your own religion, that religion doesn't have to be practiced in a Church. So taking the focus away from Christmas and celebrating the Summer Solstice with a family ritual is the perfect way to bring us together and acknowledge each other. Our Son is a Leo who is ruled by the Sun, my husband and daughter are both Cancerians which are Moon signs and I am a Water Bearing Aquarian who's element is Air so our challenge will always be to work as one, while lifting each other and embracing our individuality. 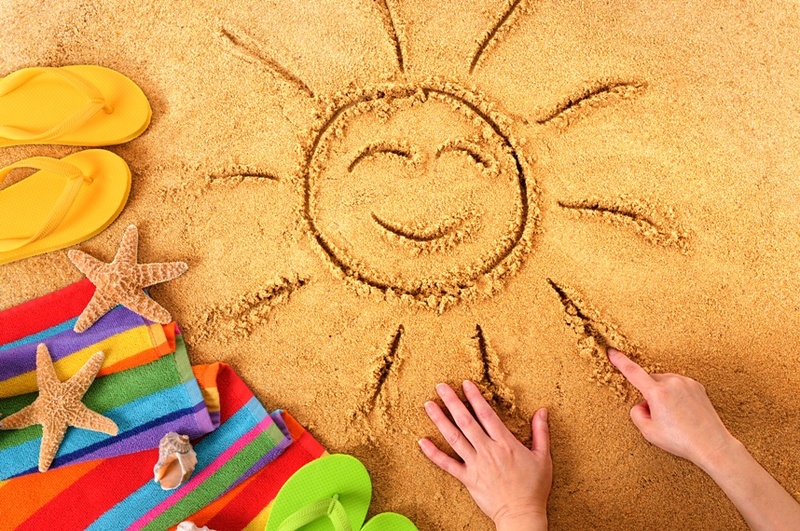 I wish you every bit of health & happiness over the Summer holidays & much love & joy for you and your family. And please be sure that however you choose to celebrate this festive season, you take a moment to celebrate YOU!